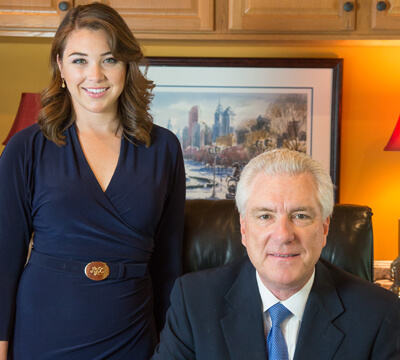 Philadelphia Slip and Fall Lawyers John and Laura Fox understand how insurance companies work. 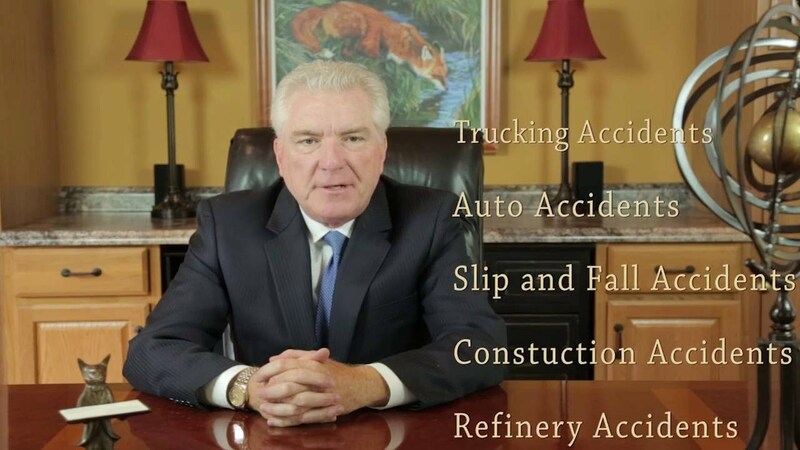 A practicing trial attorney for over 30 years, John Fox spent much of his career retained by a Philadelphia fortune 500 company to defend their personal injury cases, including many gas station slip and fall cases. 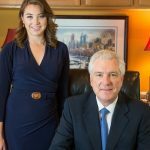 Because Philadelphia Slip and Fall lawyers John and Laura Fox know how to defend premises liability cases, they know how to win them. This is a distinct advantage for our clients. John Fox speaks about his career. Fox Law Philadelphia Slip and Fall Lawyers are headed by John Fox. 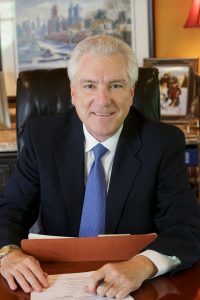 Above, John Fox speaks about his career as a highly skilled personal injury trial lawyer retained by a Philadelphia fortune 500 company to handle personal injury cases in Philadelphia and throughout the United States. Watch the video above to learn more about John Fox's career. Slip, trip, and fall personal injury lawsuits occur when property owners fail to maintain their property and you suffer a serious injury due to hazardous conditions. Owners and landlords who are negligent can be held responsible for your injury. Slip and fall lawsuits usually involve injuries that require extended hospital stays and/or therapy appointments. If possible, get a picture of the defect. It is very helpful to have a picture of the defect as near to the time of your injury as possible. Over time, snow melts and conditions change and it becomes your word against theirs. A picture tells a thousand words. Immediately report the incident to the store or property owner. If you leave the scene without telling anyone what happened, they will question the truthfulness of your story. Take the name and number of any witnesses, if possible. Seek medical help as soon as possible to document your injury. First, be truthful about prior medical conditions. Exacerbation of a pre-existing injury is compensable. However, failure to disclose prior medical conditions will ruin your credibility and your case. Defense attorneys will discover your pre-existing medical condition. Second, tell your doctor EVERYTHING that is hurting you as a result of the accident. It is impossible to know whether an injury will resolve or develop into something more serious over time. For example, you may be focused on the pain from a twisted ankle and fail to mention a slightly aching shoulder. The twisted ankle may resolve itself over time but the slight ache in your shoulder may become chronic, keep you awake at night, and end up requiring rotator cuff surgery. If you don’t identify ALL of your aches and pains at your initial doctor visit, insurance companies will question the injury later as being related to the accident. Slip and fall lawsuits require more than a hazardous condition. You must prove notice of the hazardous condition. The real test in a slip and fall case is not only the defective or hazardous condition, but whether the landlord or owner knew or should have known of the defective or hazardous condition. For example, if there is ice and snow on a sidewalk, the landlord has a reasonable amount of time to clear the hazardous condition. Therefore, there is a better chance for recovery the longer the hazardous condition exists. If there is question as to how long a hazardous condition existed, an experienced Philadelphia Slip and Fall Attorney can often prove notice. Depending on your status on the property as a business invitee, a licensee, or a trespasser, your rights vary. A business invitee, such as shopping in a store, requires the highest standard of duty. Business owners are required to inspect and correct dangerous conditions. A licensee, such as a guest on a property or a friend attending a party, requires a lesser standard of duty. In the case of a licensee, there is duty to correct or to warn of dangerous conditions, but no duty to inspect on the part of the owner/landlord. A trespasser is someone who goes on the property without permission and require the least duty on the part of the owner. In the case of a trespasser, the owner or landlord’s duty is limited to the intentional or reckless injury a trespasser. In general, landlords are responsible for structural maintenance and repairs of the property and tenants are responsible for the general maintenance, however responsibilities may vary depending on the lease agreement. In residential lease agreements, landlords often only make repairs inside a home or apartment when requested by the tenant. Therefore, it is a good idea to make your requests for repair in writing to document proof of notice. In fact, some lease agreements require that the tenant advise the landlord of conditions in need of repair in writing. When a landlord retains control of the common areas of a property, they are responsible for maintaining that area. However, when an entire property is leased, Pennsylvania Law doctrine “landlord out of possession” does not require the owner to be responsible, unless certain exceptions apply. Philadelphia Slip and Fall Attorney John Fox can help you to determine how Pennsylvania law applies in your situation. Most sidewalk maintenance is the responsibility of the property owner. The city or township may have secondary liability if proof of notice is established. Taking a picture is very helpful to document the defective condition in sidewalk trip and fall cases. Stair injury is often very serious. Sometimes stair defects or disrepair are obvious code violations and other times there are no code violations but still an unsafe situation. Stair or step location, traffic pattern, or circumstances, may require additional warning signs to pedestrians. Philadelphia Slip and Fall Attorney John Fox can help you determine if your injury is related to an unsafe stair or step situation. Owners and landlords are allowed a reasonable amount of time to clear hazardous weather related conditions, however if a reasonable amount of time has passed and you are injured as a result of the condition, they may be held liable for your injury. When stores welcome you into their place of business, they are required to keep the aisles safe for shoppers. If you trip and fall on an unexpected item in an aisle while shopping, owners may be held liable for your injury. If you are injured in an accident while in the course of your employment, the typical relief is to be covered by Worker’s Compensation. However, if the defective condition that caused your slip and fall injury is in a building owned by someone else and not your employer, you can make a claim against the owner of the property. Philadelphia Slip and Fall Attorney John Fox can help you determine if your injury goes beyond a Worker’s Compensation claim. Fox Law Philadelphia Slip and Fall Lawyers welcome you to contact us for a prompt and free consultation regarding your slip and fall case.